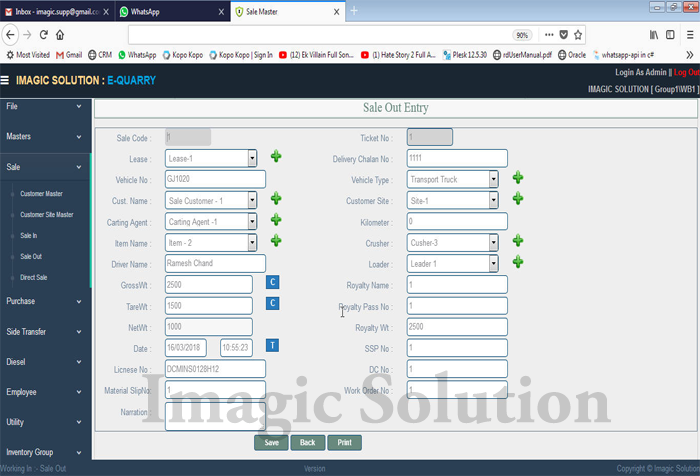 Quarry Management Software, Online Quarry Software, Quarry Management, Crusher Software, Quarry Weighbridge Software, Inventory Software, Quarry Billing Software, Quarry Accounting Software. 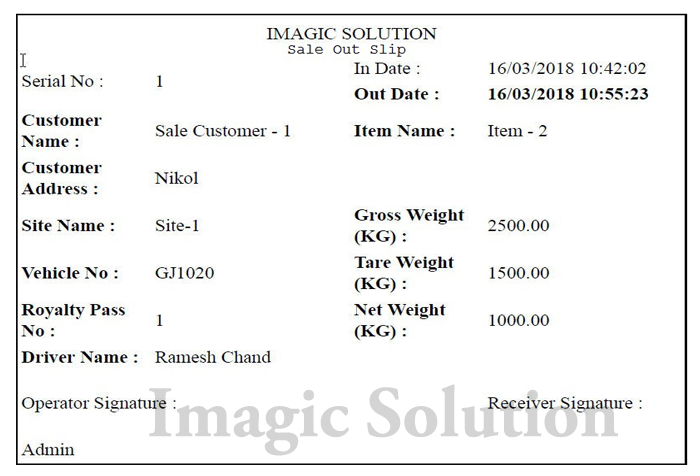 Imagic Solution Provide Software Solution for Quarry Management, System can Manage Online E-Quarry Weighbridge, Party Ledger detail, Generate invoice with weighing slip, Manage Party Order Detail, etc. 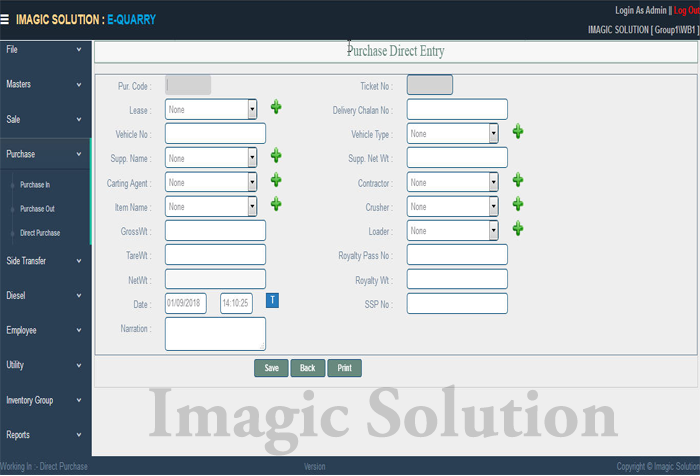 In this time everybody use to computer and software, in particular quarry field is very critical to mange vehicle and goods weighing with perfection, also weighing operator also not much Educated too, so he cannot manage two or three software, so our Imagic solution Quarry Software can manage all together in single software. Imagic Solution Weighbridge Software developed in latest technology that's why it speedy and support latest OS like Win7, win8, win10 etc. 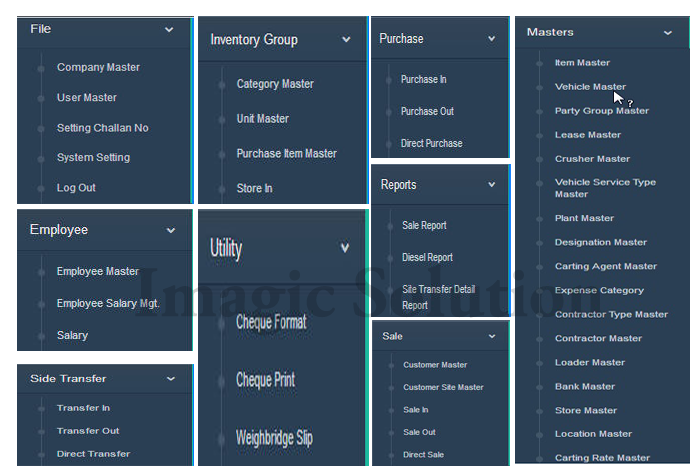 Weighbridge software is working approx 650 client in all world for client detail please visit Client List We provide weighing software in Dubai, Kenya, Nairobi, Mozambique, Tanzania, Uganda. 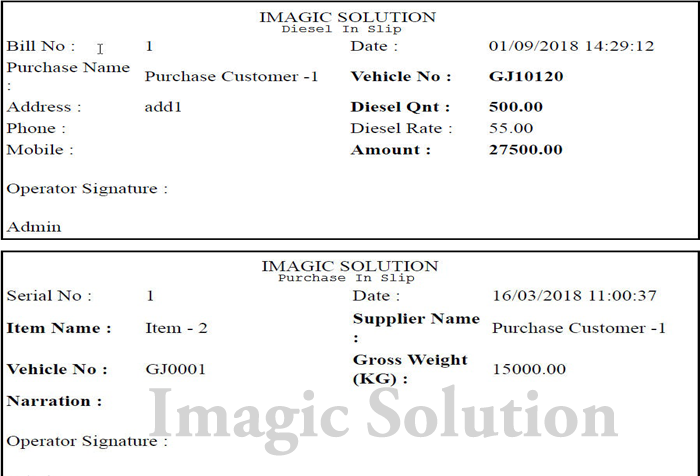 Weighbridge operator can generate Slip/ Ticket come Invoice at a time from our Imagic solution Quarry Management software, also its manage customer Order No wise detail and provide reports for Lifted Qty, Balance Qty, Order Qty, Order Expire Date, Product wise order detail etc. Main benefit of this software can communicate any make weighbridge indicator, so it will implement anywhere or any existing weighbridge, also this very easy to use so operator can familiar with it. Reports are designed to give all kind of output as required. 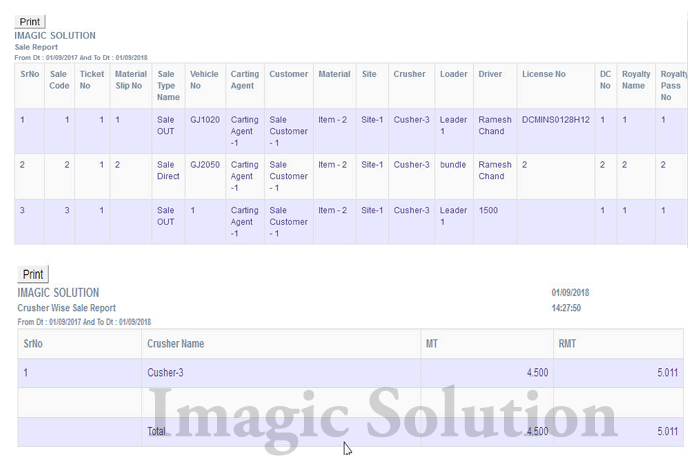 Reports can be made available for all the parameters to give users in-depth analysis of their business. weighing software also has an option for exporting of reports in different formats like Microsoft Excel, TEXT, CSV. Standard reports include. If Any Special Feature Require We can Develop for customer. Provide Report order wise, party order wise, location wise, Balance qty wise, Lifted Qty wise, Total Order Qty wise etc.